Put your brand name on a lot of refrigerators and attract a lot of eyes! Made in the USA, our business card magnet displays a beautiful 4-color imprint of your custom design you can hang anywhere. Always in stock, this product measures 2" W x 3 1/2" H x 20 mil. Free setup and full bleeds are available. This item fits the promotional needs of corporations, bars, restaurants, hotels, resorts, design firms and many more! 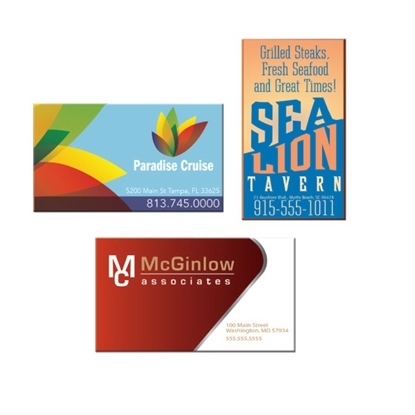 Mypromotionalpens.com offers the largest and best priced selection in Promotional Business Card Magnets. We will price compete and we won't be under sold. 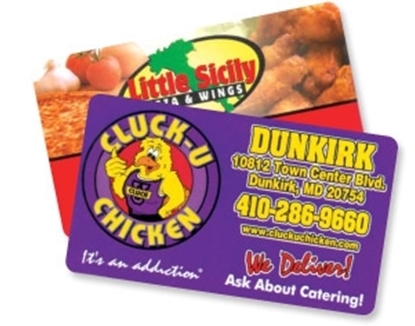 Let our graphic designers make your personalized Business Card Magnets standout above the crowd at no charge. We won't stop until you are completely satisfied with your custom Business Card Magnets art proof.Use category search filters on your left to help narrow your search to find exactly what you are looking for.